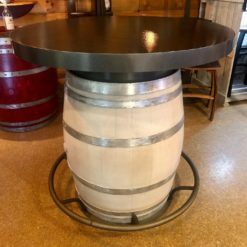 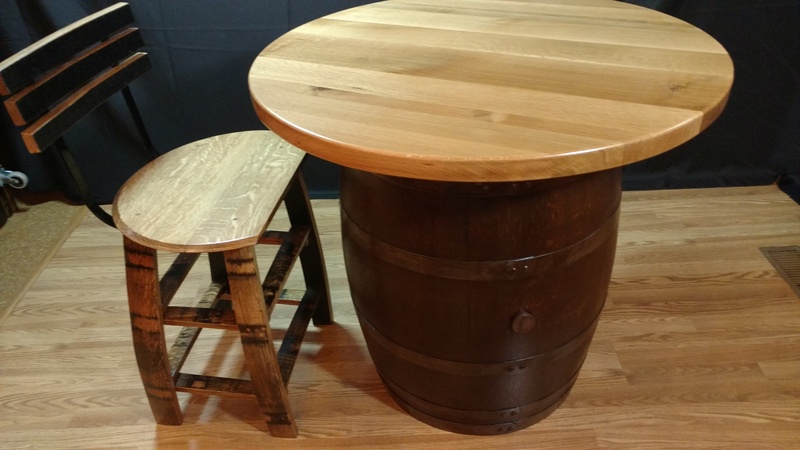 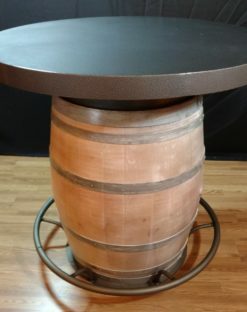 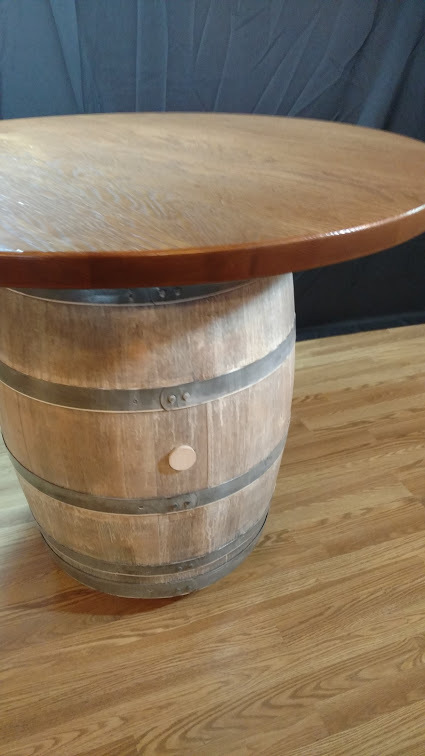 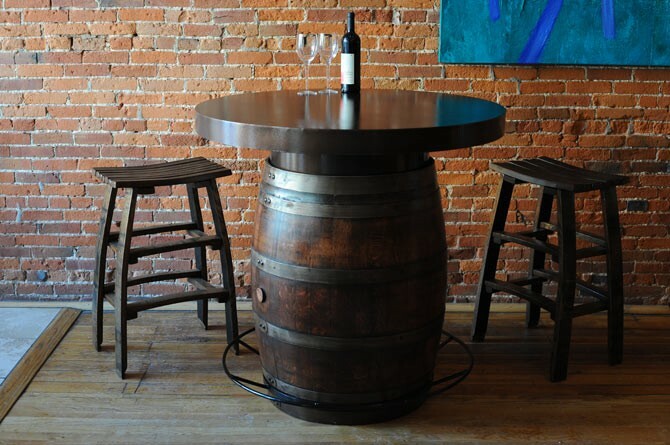 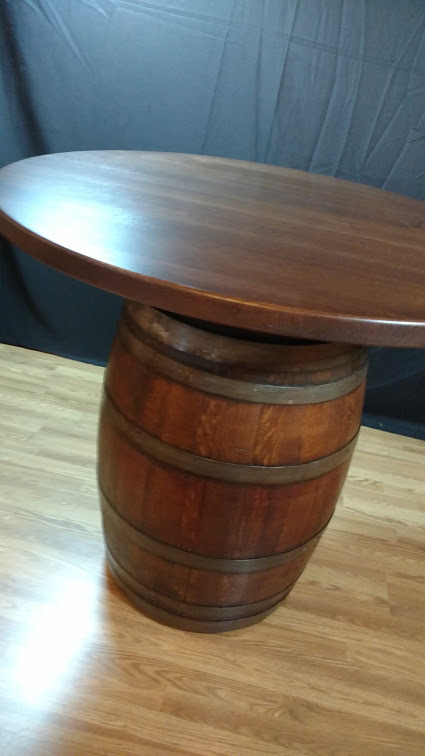 Table Top Diameter Choose an option30"36"42"
Our Vintage Oak Wine Barrel Bistro Table; refined, reinforced, no fillers or veneers. 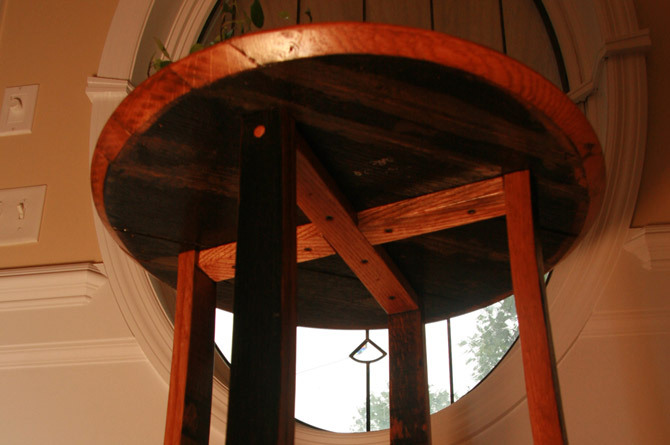 Available with either a hammered metal top in 30″, 36″, or 42″ diameter or a solid, 2″ thick, quarter-sawn oak table top in 30″, 36″, or 42″ diameters. 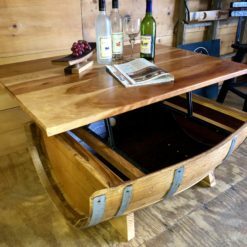 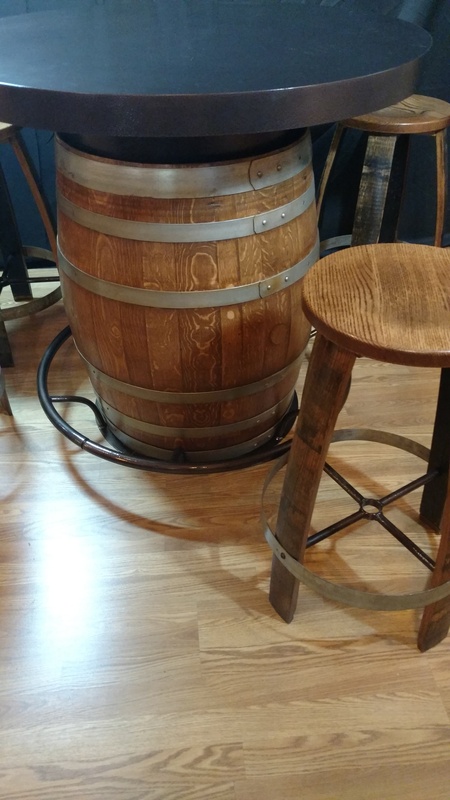 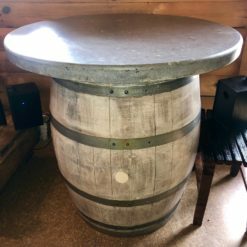 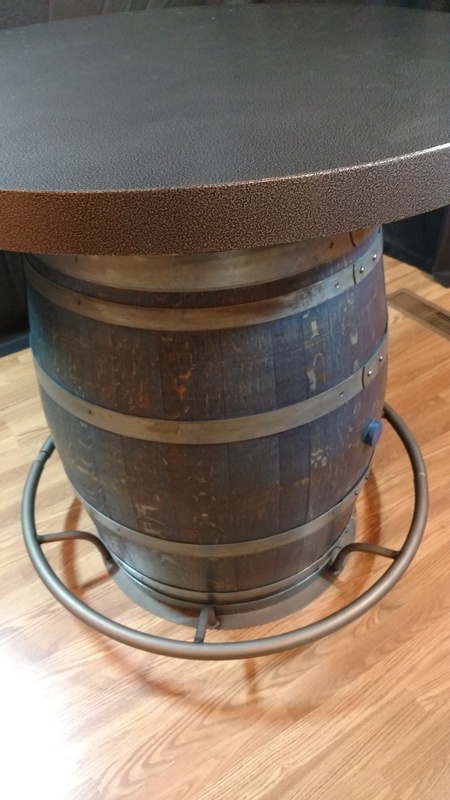 Also available with our patented 2-piece hammered metal foot rail and/or our exclusive hammered metal riser to bring the height of your barrel table to 42″ tall. 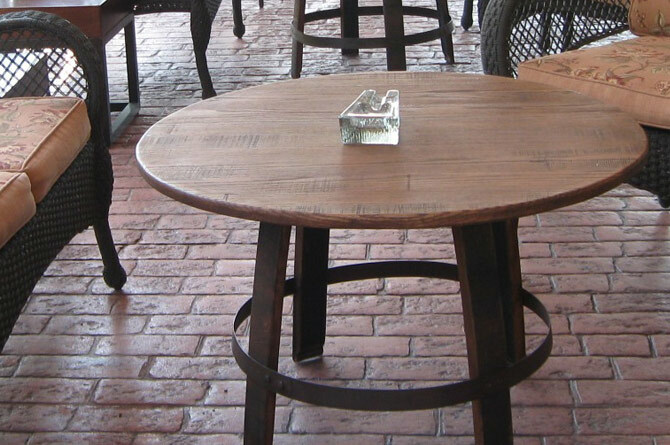 The Hammered metal finish is baked on Dupont powder coating that has an enamel like quality. 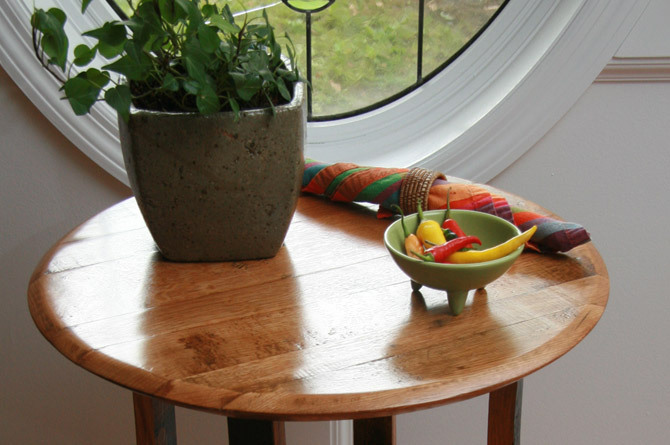 It is highly durable and beautifully resilient. 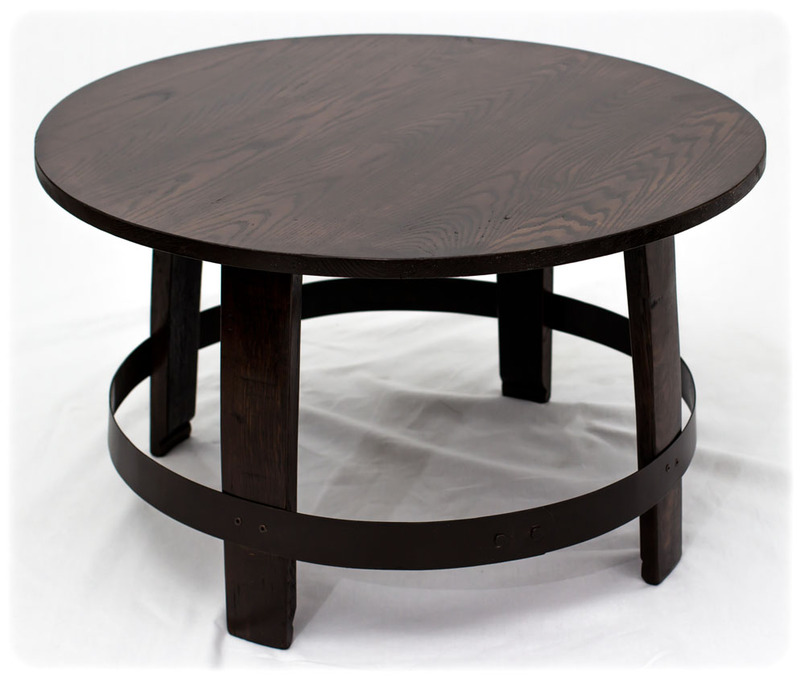 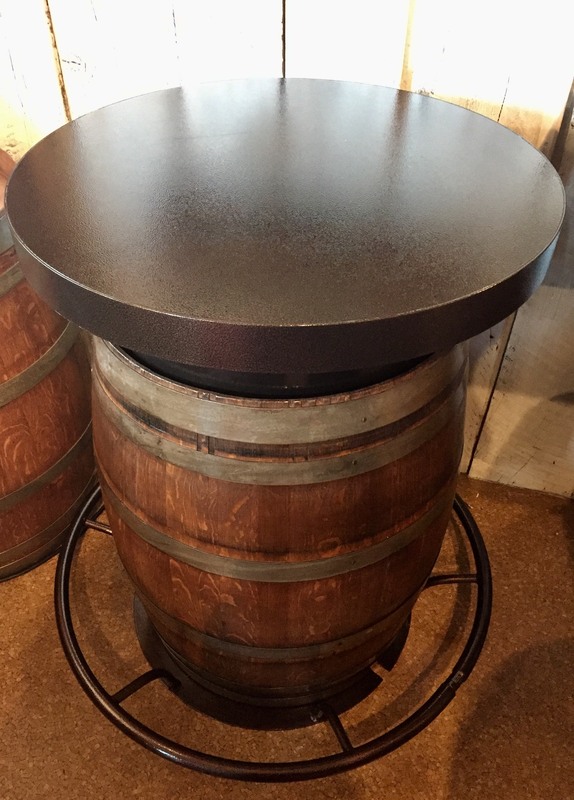 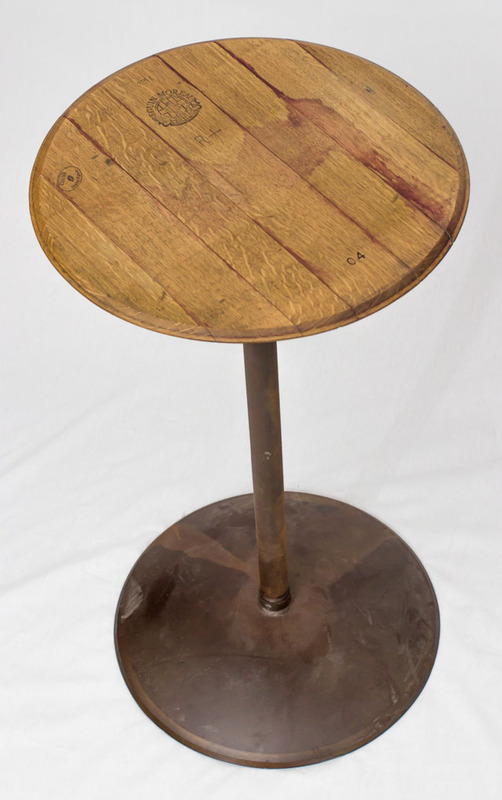 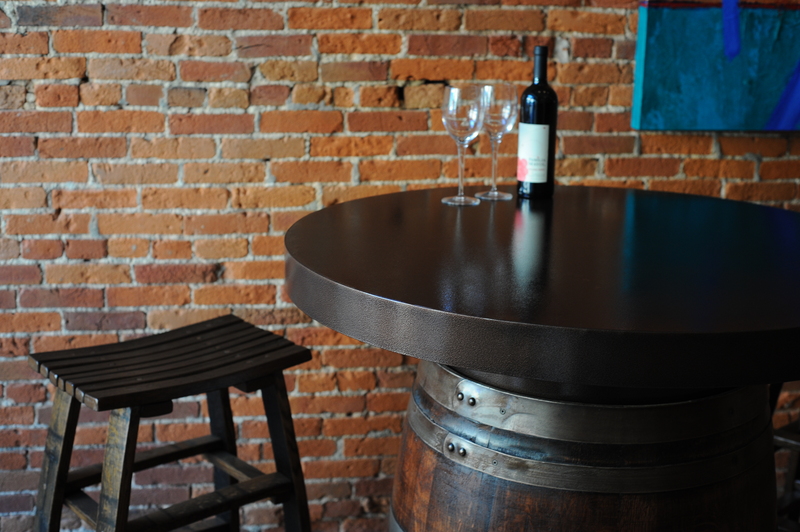 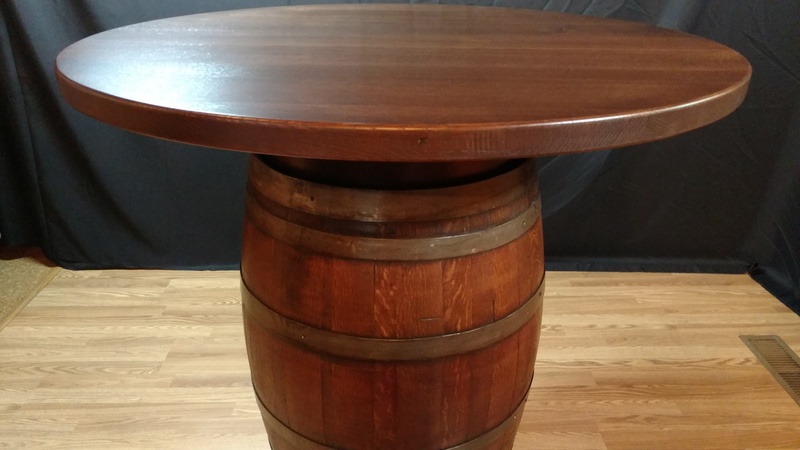 We are currently running a special on our 42″ METAL TOP FULL BARREL BISTRO TABLE. 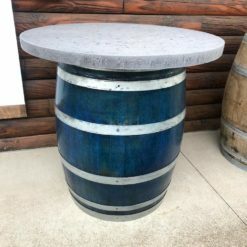 Check out the link for more details! 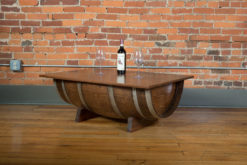 Did you know that used oak wine barrels are graded? 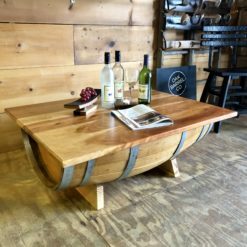 Even though we reuse, reclaim, recreate, we still want to bring you high-quality, and great craftsmanship to a product that will last a long time. 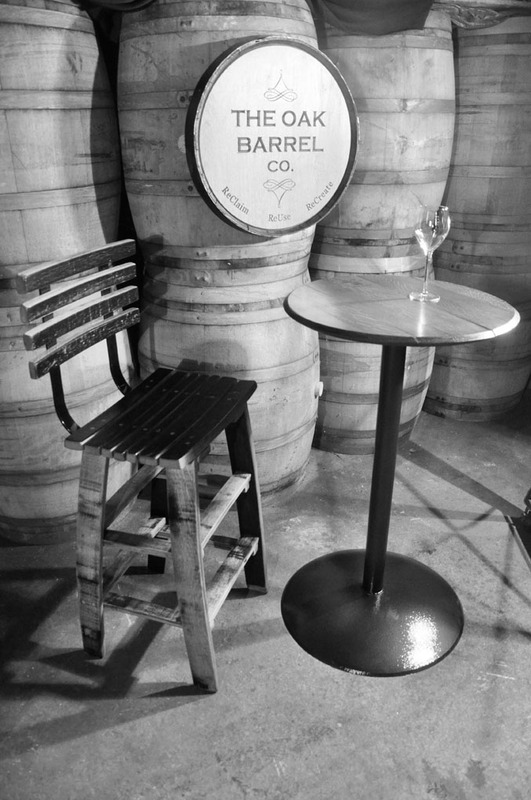 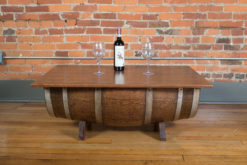 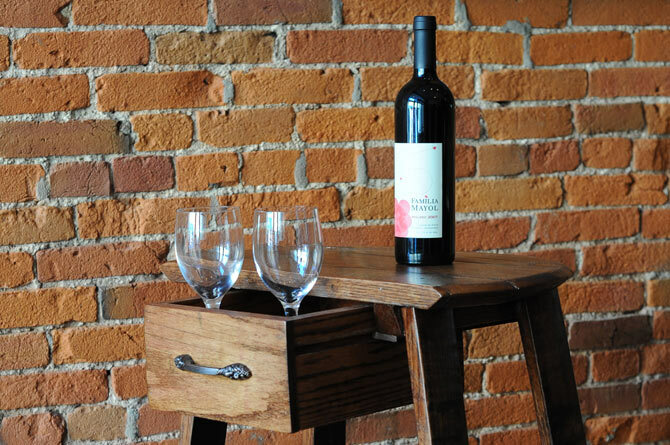 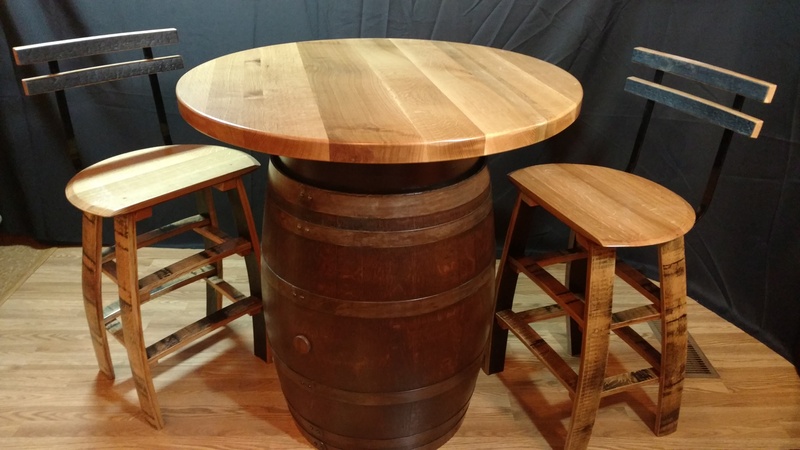 So we purchase only grade A+ select oak wine barrels to use for our barrel tables and furniture. 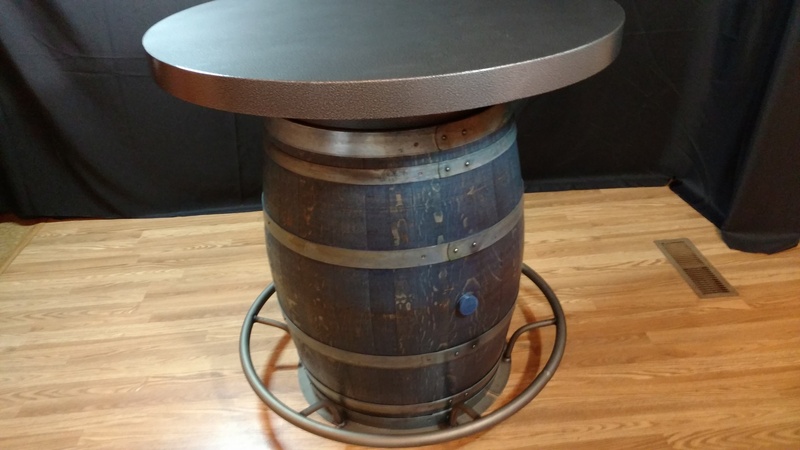 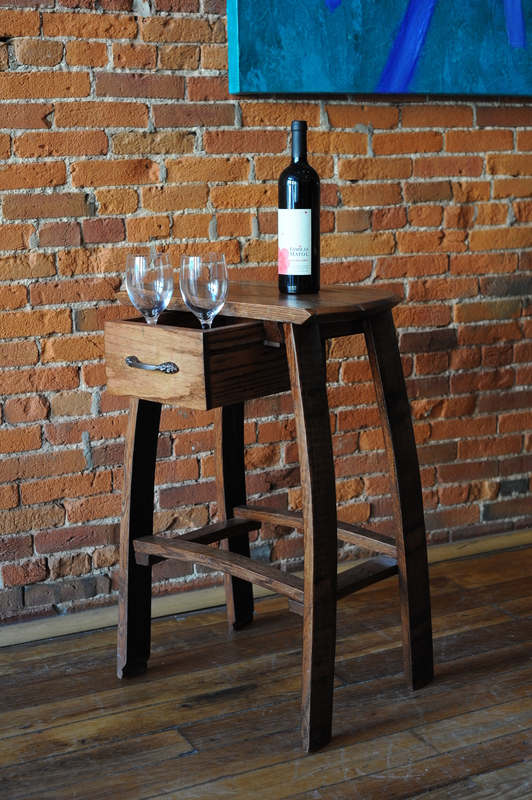 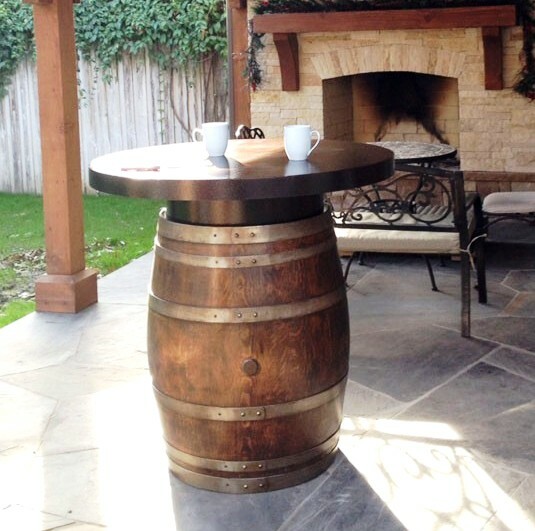 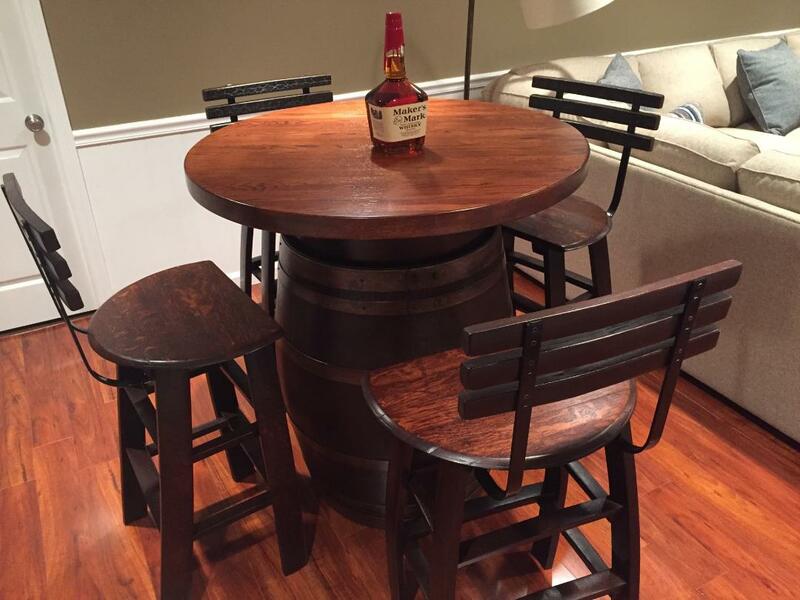 This gives you a high quality Barrel Bistro Table that you can display proudly and use everyday.